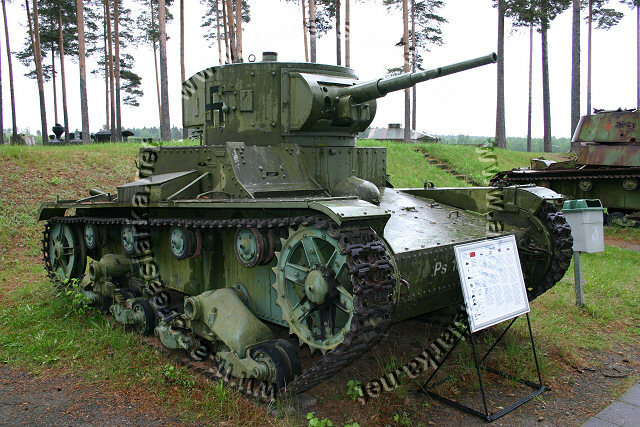 This T-26 was used by the Finnish armoured forces in The Continuation War 1941 - 1944. These pictures are taken at the Finnish Armour Museum in Parola, Finland. Photos and text © Copyright by Andreas Lärka, Finland.